Used in rainforest and snorkelling.Completely waterproof. Anybody travelling in wet/damp conditions. Touchscreen changes when under water due to pressure, which makes photography difficult. Otherwise an excellent product. Intend using this on an open boat and am confident the product will perform as described. 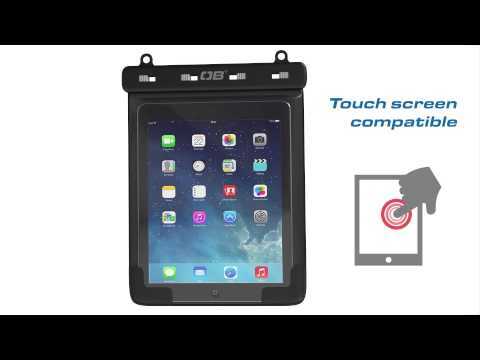 product is used in the field to protect I pad from the elements when soil testing. It is strong and sturdy and works! Would highly recommend for any one who works outdoors. 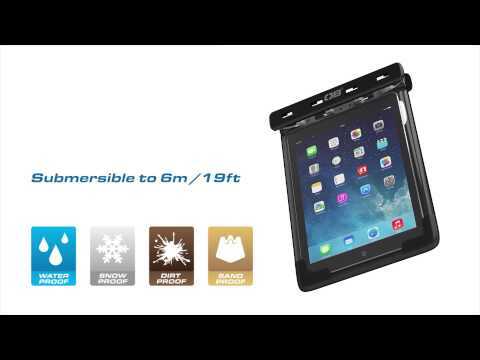 Excellent product when taking an ipad on holiday - it doesn't get wet at the pool or beach. iPad Case used in kayaking and it functions great. A good quality product, with everything you need to use it, included in the box. Not used in anger yet, so only time will tell. A reasonable price point product. This item is really good. Fitting was a bit fiddly at first but the iPad works fine and is now safer when used outside. I would recommend this product and would have no problem giving one as a gift. The ipad case is of good quality. I have a customer who was after some cases that his engineers could take outside and not drop and wouldn't matter if it was raining.